Planning To Buy A Car This Festive Season? Here’s a Checklist Before Signing That Car Loan! 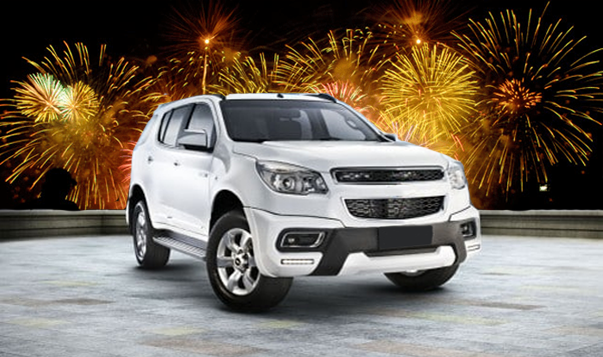 Festive seasons in India come along with a lot of offers and deal on cars, adding more festivity to the season. Be it Diwali or Durga Puja, there will be discounts and offers galore on varied products and it is in your best interest to avail them before it’s gone. The car is one of the most thoughtful purchases that one has to do. It not only is confusing amidst an enormous number of options but is also a little nerve wrecking when a loan has to be taken for the same. If you are planning to buy a car that you have wished for then we have a list of things that should be on your checklist before you hop on to a decision or before you apply for a car loan, making things uncomplicated. Firstly according to your needs to choose a car category, from a hatchback to a sedan to MUV to SUV, there are many options in the market. Fuel-type – To choose which type of fuel the car will be consuming is important as eventually it will become a major part of your monthly expenses. Petrol, diesel or CNG, choose whichever suits your budget. Thirdly, choose between manual and automatic cars according to your comfort. Credit score and history should first be in place before you start planning to apply for your car loan. The foremost step is to visit an RBI-approved credit bureau website like CRIF and check your credit-worthiness. A higher score means a better chance of loan approval and lower will be the interest rates. One will have a greater probability of approval of the loan if he/she has a score above 700. Have you made a checklist of the documents? The lenders often check your credibility and a list of documents before granting the loan. The list includes proof of identity, (such as PAN, Driving License Number, Aadhaar etc) your income proof (salary slips for last 3 months, Form 16 for last 2-3 years etc), credit and bank history (bank statements for past 6 months), proof of residence (electricity bill, driving license). How much down payment can you afford? Now a day’s car dealers tie up with various banks and lenders, bringing in the possibility of 100% finance. Though it may sound very enticing once you start evaluating the options you will know that more the loan, higher the EMI. Make sure you have most of the amount ready as the down payment which eventually helps in the lower loan amount, thus a lower EMI. What is the tenure of the loan? The repayment through EMI depends on the tenure of the loan. It is feasible to take a longer tenure loan (say for 5 years or more) if your income is on the lower side as it reduces the portion of the EMI as the loan amount is spread over a longer time and a shorter one (3-5 years) if you can afford it. What are the loan rates? Car loan interest rates start at 8.7% per annum, depending on your car model, repayment capacity, employer, etc. At first check with your bank if they have any offers or any deal that gives lower interest rates. Secondly, visit all the online lending marketplaces and compare carefully all the deals to get the best one. Make sure a detailed inquiry is done by you before you finalise on a deal. What kind of credit behaviour do you have? Do not make multiple inquiries in the same bank as it indicates that you have credit hungry behavior which eventually does affect your credibility and credit score. When you ask for a loan from a bank and get rejected for the same then you should not go back to the same lender again without fixing the glitches in your application profile. Have you read the fine print? Lenders charge this fee to cover the cost incurred while evaluating your loan application. This is usually a non-refundable fee. In festive seasons and other offers, many lenders waive off their processing fees to attract business. Ensure that such lenders are not charging a higher interest rate or other charges to offset their loss from the reduction of processing fee. Finally, did you take the test drive? When you choose to buy a new car or an old one never skip the luxury of getting a free test drive. It will help you take a decision which is often one of the biggest dreams that one fulfills with their hard earned money. Your dream car is an emotional & financial investment and you would not want to take a hasty decision about it. Hoping that buying your new ride is easy now with all the information assimilated in this article. Out of all the steps, make sure to first check your credit score with CRIF before you apply for your car loan. Previous Previous post: Checking My Credit Report Affects My Credit Score? Or Not?